Orchard Park, Twigworth, Gloucestershire GL2 9QP modern development of beautifully constructed single storey homes, Orchard Park offers stress-free park living in a friendly over 50s community. Rurally located in the village of Twigworth, near the historic city of Gloucester, Orchard Park is also within easy striking distance of the Forest of Dean as well as dozens of beautiful Cotswold villages. Nearby Cheltenham and Tewkesbury also draw in visitors from far and wide throughout the year. Orchard Park is situated in the village of Twigworth near to the Cotswolds, between the city of Gloucester and famous towns of Tewkesbury and Cheltenham. This location offers you an ideal base for walks in the beautiful Forest of Dean. Many visitors flock to Cheltenham each year to enjoy its history, the elegance of its buildings and wonderful architecture. Add to this Cheltenham’s amazing shopping, leisure facilities and famous racecourse and you have the ideal place to spend your retirement. The nearby Norton Garden Centre is a family owned, independent garden centre offering a great selection of seasonal plants, gardening products, gifts and furniture, as well as trained and friendly staff who are on hand to offer advice on how to make the most of your Orchard Park garden. Also located nearby, on the A40 just outside of Gloucester, is Over Farm Market – an award-winning, family-run farm shop selling farm grown produce, home-made treats and a wide choice of local and artisan food and drink. The village of ‘Twigworth’ first appears in record books as early as 1220, as ‘Twigeworth’, and is thought to mean ‘enclosure made of twigs’. The war poet and composer Ivor Gurney is buried at St Matthew’s church in the village. The nearby city of Gloucester was founded in AD 97 by the Romans under Emperor Nerva as Colonia Glevum Nervensis, and was granted its first charter in 1155 by King Henry II. Today the city skyline is dominated by the cathedral, which has stood close to the River Severn since 678 AD. The city’s once famous docks are now an impressive centre for shopping, leisure and eating out. Our tranquil parks are the perfect place to enjoy a care-free life with like-minded people. In fact we’re proud to have helped create a real community spirit where everyone respects their neighbours and their surroundings. We’re sure you’ll want to things to continue that way, so we’ve introduced some simple rules to proetect your home and lifestyle. The following rules of occupation are for the good management of Park Home Establishments and the benefit of all who use them. The park rules form part of, and should be read with, the Agreement by which homeowners occupy the pitch in accordance with the Mobile Homes Act 1983, as amended. “Plot/Pitch” means the individual plot on which a park home is situated or may be situated in the future. No person under the age of 50 may reside in a park home with the exception of the Park Owner and their family or any employee of the Park Owner and their family. Communal areas should not be littered in any way. 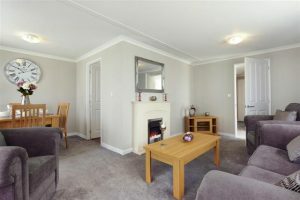 The park home may be used by the Owner Occupier and members of his permanent household and bona fide guests only (and in any event for the occupation of such number of persons as shall not exceed the specified number of berths). Park home units shall not be sublet. Guns, explosives, firearms or offensive weapons of any description shall not be used on the park. Guns may only be kept with a valid license from the Police and/or relevant authority and stored in accordance with UK Law. Everyone using the park is required to comply with the regulations of the Site License. Access is not permitted to vacant pitches. Building materials or other plant must be left undisturbed. Owner Occupiers are at liberty to work individually from home by carrying out office work, but not so as to involve other staff or workers using the park home. Other business activities or commercial enterprises may not be carried out on the park, plot/pitch or home. Owner Occupiers must not use fire points provided for other than the emergency use intended. Park homes must be kept in sound and clean condition; external decoration, appearance and colour must be approved by the Park Owner which will not be unreasonably withheld. No external alteration of, or addition to the park home or plot/pitch is permitted without the prior written approval of the Park Owner, which will not be unreasonably withheld. The Owner Occupier is responsible for the cleanliness of the plot/pitch. He/she must also keep the area underneath the park home clear and free from combustible items. Owner Occupiers are responsible for ensuring that electrical, water and gas installations and appliances comply at all times with the requirements of the relevant Regulative body or other appropriate Authorities. The Owner Occupier must not permit waste water to be discharged onto the ground. Hoses are forbidden where water is not separately metered, except in the case of fire. The Owner Occupier is responsible for ensuring that all household refuse is deposited in approved Local Authority containers which must not be over filled and must be placed in the approved position for regular collection on the Local Authority collection days. At all other times, refuse bins must be kept on the Owner Occupiers plot/pitch and out of sight from the road. Porches, green houses, storage sheds, fuel bunkers or other structures are only permitted with the approval of the Park Owner, which will not be unreasonably withheld, and where permitted must be of a design, size and standard approved by the Park Owner and Local Authority. Private gardens must be kept neat and tidy and no fences or other means of enclosure shall be allowed without the approval of the Park Owner, which will not be unreasonably withheld. Trees on the plot/pitch are the responsibility of the Owner Occupier to maintain unless a specific agreement is in place, in writing with the Park Owner. Hedges and fences can only be allowed to a maximum height of 1.8 meters. Hedges, fences, shrubs and bushes on the plot/pitch are the responsibility of the Owner Occupier to maintain and keep in good order. To ensure there is no damage to underground services, approval in writing for the planting of trees, hedges and fences must be sought from the Park Owner, which will not be unreasonably withheld. Washing lines are to be screened from public view. TV aerials or satellite dishes should be erected in a position which will give the Owner Occupier a good signal, having due regard to the surrounding trees, preferably to the rear of the home or garage so as to maintain the street scene of the park. No outside contractors, or Owner Occupiers to carry out external work on the plot/pitch or home without prior written approval from the Park Owner. This is to ensure that the appropriate public liability insurance is in place, underground infrastructure is not damaged and Site Licence conditions are adhered to. Such approval will not be unreasonably withheld. The area between the park road and the park home must be kept as turf. Shingle is not allowed. This rule is to maintain the character and street scene of the park and its surroundings. The Owner Occupier is responsible for the behaviour and actions of his/her visitors and/or bona fide guests, including children. Children using communal areas must be supervised at all times. Children are not allowed to play any games on any communal area, roadways or vacant plots/pitches. Motor vehicles, musical instruments, CD players, radios and other appliances must not be used to cause nuisance to others, especially between the hours of 1030 pm and 0800 am. 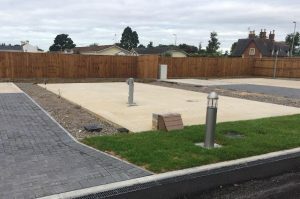 A maximum of two cars may be kept by the Owner Occupier providing that there is enough allocated parking on the park or on the Owner Occupiers plot/pitch to accommodate the vehicles. Cars are not allowed to be parked on the road, unless in an approved allocated parking area. All vehicles must be taxed, MOT’d and insured, in accordance with the DVLA and UK Law. All drivers must hold a current driving license and insurance. Visitors must park in the Visitors Parking area at all times, unless a driveway or allocated parking space for the home they are visiting is available. No boats, touring caravans or motor homes are allowed to be kept on the park unless kept in an authorised area and approved by the Park Owner. All vehicles must be driven carefully on the park not exceeding the speed limit of 10 mph. Abandoned vehicles will be removed from the park by the Park Owner and the cost of removal will be re-charged to the Owner Occupier. A maximum of two domestic pets can be kept at the park home. Dogs must not be of a breed subject to the Dangerous Dogs Act 1991. Dogs must be kept on a lead at all times in the communal areas of the park, and dogs must not be allowed to foul the communal areas. No livestock is allowed to be kept on the park.